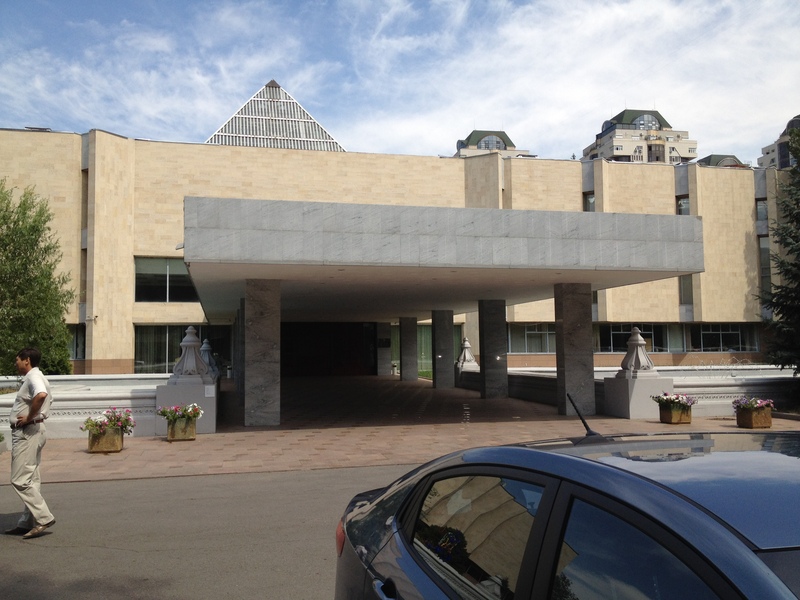 The A. Kasteev Museum is one of the most interesting museums in Almaty with various exhibits on offer, with an English Guide book available on request for a small charge. The best way to get to the Museum is by taking the metro and the nearest metro station is Auezov Theatre Metro station which is within a 10 minute walk from the museum. Below is a description of the museum which has been kindly provided by the British Council for the use on this website. For a map showing the location of this museum and of other things nearby, please scroll to the very bottom of this page. 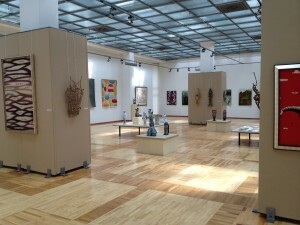 The A. Kasteev collection in the State Museum of Arts is the largest archive of decorative and graphic art works in the Republic of Kazakhstan; it includes 23005 exhibits and is considered one of the best collections in the CIS. It is 75 years old. The primary objective of the storage department is the safekeeping of museum valuables, as also the creation of favorable conditions for storage and examination. Museum funds are subject to strict governmental accounting. All arriving exhibit items are duly registered in the accounting department with corresponding documents and given serial numbers. The museum therefore runs on the basis of safety of exhibits, systematization of funds, and clear accounting. The custodians work to these priorities.Documenting and cataloguing artworks given to the museum with the relevant security measures, photographing and describing them, preparation and transport of the exhibition, and work on the general museum catalogue, these make up the visible part of the custodian’s work. 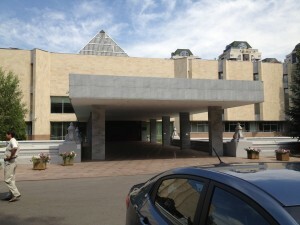 The collections in the museum depositories are divided according to storage: paintings by old masters, old Russian art (icons), paintings of Kazakhstan. Graphics, jewelry, leather, weaving, felt, tapestry, contemporary decorative and applied arts, the orient collection and sculptures. With the assistance of UNESCO, the museum’s Accounts Department has developed a special programme of work. All the art works with details of arrival and photographic works and rollers for carpets and tapestry.Centralized air conditioning (warm in winter and cool in summer). Maintenance of humidity and light, and measurement and regulation of temperature and humidity every morning and evening, are conducted by a qualified engineer and climatologist. Thus, the museum strictly follows the “Cultural Values Storage Instruction”. 10AM – 6PM. Closed on Mondays.